Z-Purlins | Galvanised Purlins from Bushbury Cladding Ltd. Here at Bushbury Cladding Ltd we are a specialist provider for a variety of needs requiring corrugated roof sheets, and we are particularly renowned for the quality of the British steel used throughout our product ranges. However, as fundamental as roof sheeting might be, it’s not the only contributor to a well-made roof, as there are also other structural considerations like purlins and rafters to take into account too. With this in mind, we can also manufacture and supply quality galvanised z-purlins for use alongside any of our steel roofing sheets. Our galvanised z-purlins are both swift to install and are suitable for use alongside both insulated and uninsulated roofs and wall spaces alike. 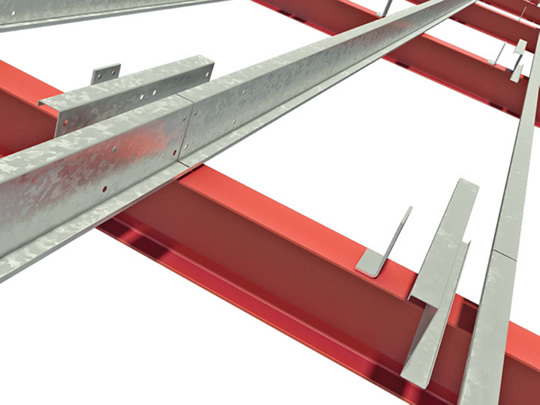 We regularly provide products for both commercial and domestic requirements, and our purlins are highly prized for construction schemes within industrial environments, halls, warehouses and also those times when extension or renovation work is being carried out. Because our galvanised purlins are ideal for supporting even the widest of roofs, no application is too substantial, and you can rely on us to meet your needs even for the most ambitious project. All of our galvanised z-purlins are uniformly high quality, and are subjected to all of the same tests as our roof sheeting is. Durable and hard wearing, you’ll find no better products anywhere else, and because we can deliver anything you order straight to your door you can use our service wherever you might be based. Orders usually arrive within 7-10 days of you contacting us, or if you prefer you can also collect your products directly from us. Whatever your needs for roof cladding and supports might be, look no further than Bushbury Cladding Ltd to meet them. 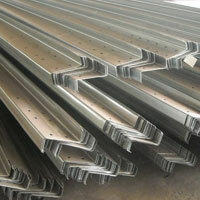 Please contact us to discuss your requirements for galvanised z-purlins.